The Trinidad and Tobago Postal Corporation (TTPost) is a corporate body established under the Trinidad and Tobago Postal Corporation Act No 1 of 1999 to provide postal services. 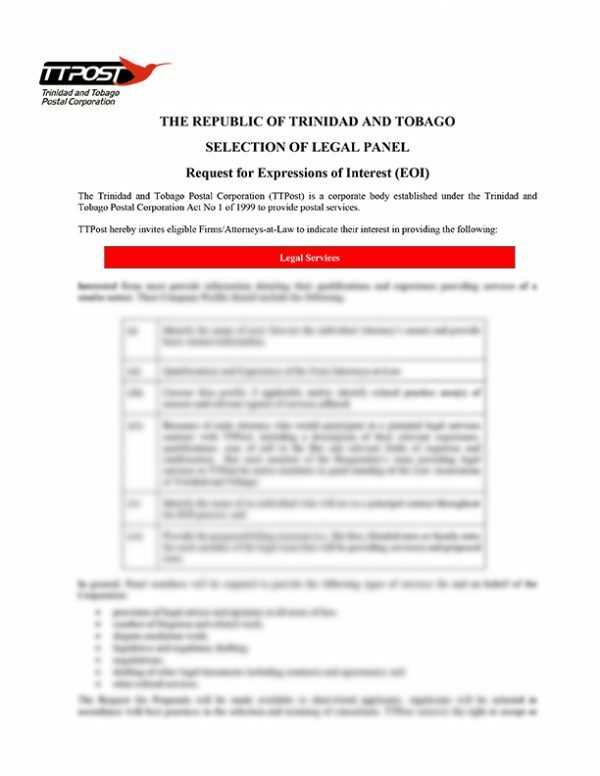 TTPost hereby invites eligible Firms/Attorneys-at-Law to indicate their interest in providing Legal Services. How can we help you?Contact our TTPOST Customer Service & Support team by submitting a private or commercial inquiry online.